Loyal Patron specializes in Membership Subscription Software that helps merchants operate auto recurring subscriptions that can be sold either online or off-line at POS checkout. The solution helps businesses configure stored value through a carefully designed loyalty engagement strategy that cranks repeat frequency to another level. View our Membership Subscriptions and Membership Auto Pay features for more details. Back office interface for creating membership subscription bundles including pricing, description, and images. Set programmed rewards/comps redemption limits on daily, weekly, monthly or annual basis. Purchase Code/Link creator supporting bare URL, HTML code links, embed or iframe to sell memberships online. 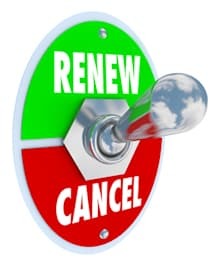 Auto-renewal emails to members due for renewal or whose membership has expired. Add optional mobile keyword linking to your membership order form on mobile devices. Integrates with Loyal Patron’s robust back office applications for Email Marketing, Rewards Program Software, Fundraising (Non-Profit) Marketing, Surveys & Reputation Management and more. Detailed reporting on memberships sold, expiring, and expired. Loyal Patron integrates with the following payment gateway processors. If your payment gateway is not on the list below, contact us and to add support for it and help you maximize your auto recurring subscription marketing and payment processing.